Bakugo, Episode 45: What a Twist! Okay, I know the title isn’t “Bakugo”, it’s Boku no Hero Academia (My Hero Academia), but this episode to me made Bakugo stand out the most. I’ve started worrying about Bakugo turning into a Villian or doing a Sasuke move during the second season. 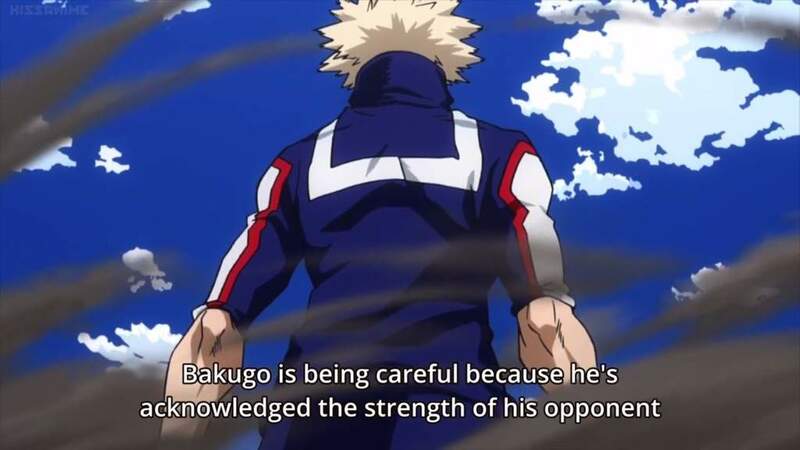 With his attitude and quirk, it’s easy to think he is more of a villain, rather than a hero especially he has been seen as a bully since the first season. 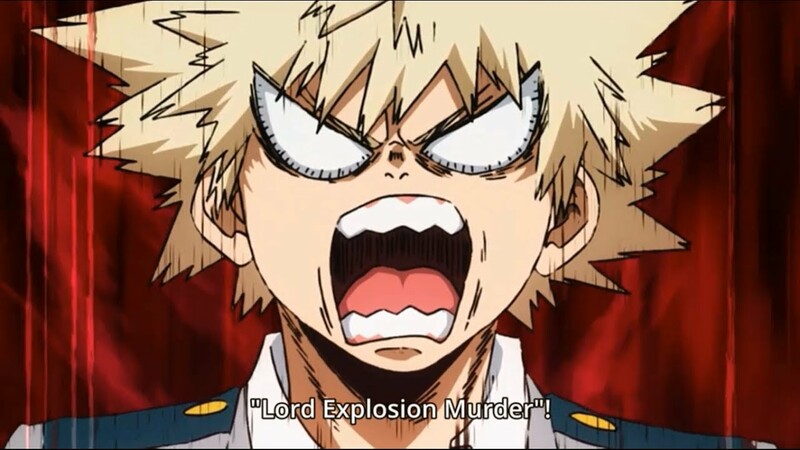 When Bakugo was about to be taken away on Episode 45, he said the three words that melted all my doubts away. More than being a person who is a bully to Deku, it was not clear to me he is a FRIEND, a childhood friend indeed. Yes, it can be seen as his pride once again kicking in but for me, all I could hear was his care for Deku – not to put him in anymore harm’s way. I don’t read the manga and I don’t know where Bakugo’s character development is right now, but I do know it’s not going in the villain’s direction, it’s going to the hero’s direction – as he has been stating from the very start. He strives to be a hero, his main core is to be the top hero and that manifests his desire to be on top, even though that’s easily misunderstood as simply being over confident in his self. Now that I think of it, the story does slowly indicate Bakugo’s growth in maturity. One proof of this is when he declared he is going to be the number one in their Sports Festival. Deku made it a note that the Bakugo or “Ka-chan” before would be laughing while saying that, but he wasn’t. This indicates he recognizes that he is not the only strong person in their class. His fight with Uraraka also backs this point as he fought her with all his might, not underestimating her and even saying she is not fragile at all. So here’s to watching how Bakugo grows as a great hero as well and not as a villain. Posted on May 23, 2018 May 23, 2018 by Shi-naPosted in ANIME, THE CHRONICLERTagged ANIME, bakugo, bakugo katsuki, bnha, boku no hero academia, character review, crunchyroll, katsuki bakugo, mha, my hero academia, otaku. Next Next post: Personal Tag: The Fight Card.